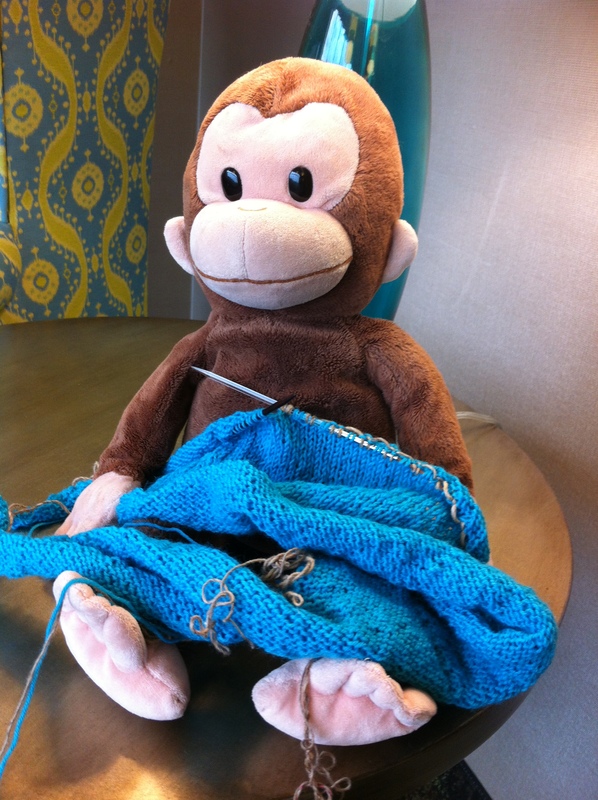 It’s a little known fact that Curious George knows how to knit. Really, it’s true! At least my Lily thinks it just might be true. You see, George came with me to a convention this summer. Not a fun knitting convention, but a convention where I can knit so it’s fun. The convention goers are used to me knitting through all the meetings. In fact, I think they’d be shocked if I didn’t knit. What they don’t know (and I probably won’t be demonstrating for a good long time) is that I’ve also run meetings while I knit. But I digress. 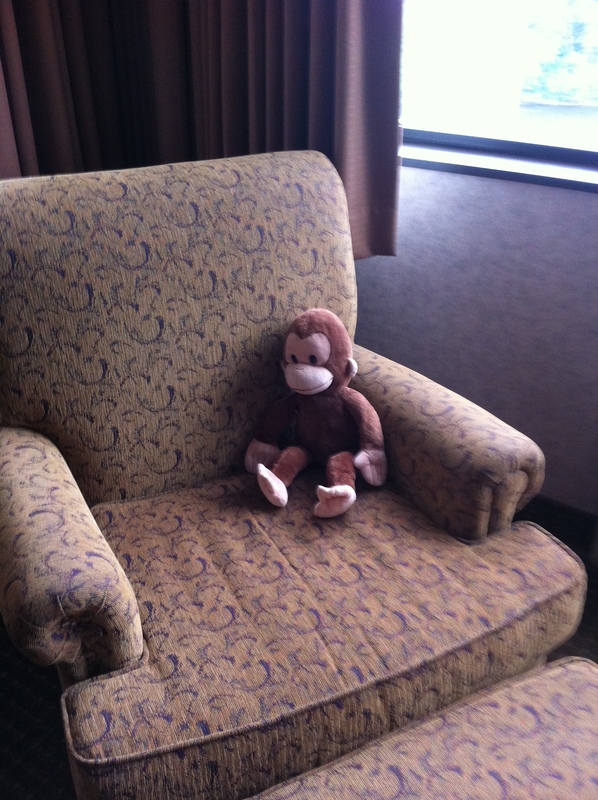 George went with me to this meeting because Lily was sad that I was going to a hotel without her and Addie. She decided that I might get lonely and not have anyone to snuggle with. Since she couldn’t possibly give up Teddy for a weekend, she sent George. So I could snuggle with George when I was lonely. George had a good time. He chilled in the king size bed. He kicked back and watched a little TV. I’d say he put his feet up, but those legs are so short they didn’t reach the ottoman. 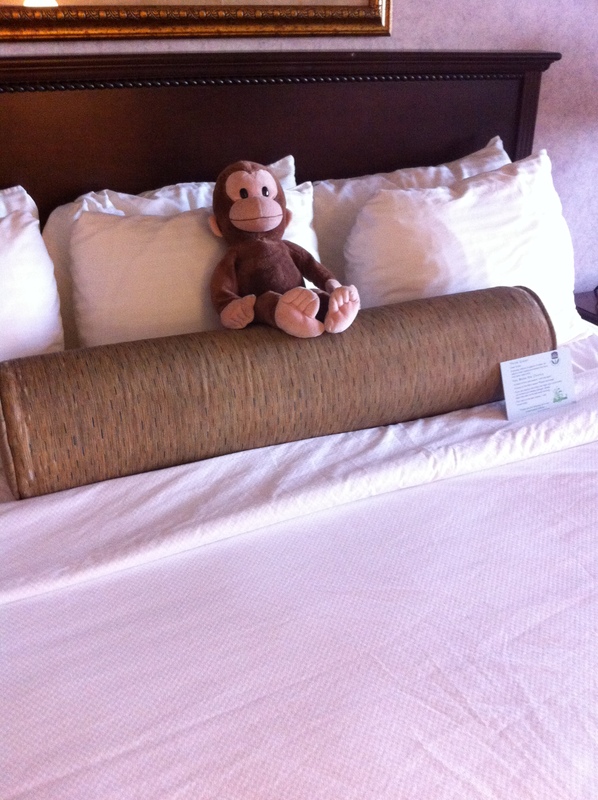 George made himself at home in the jungle. Or at least as close to the jungle as he could get. St. 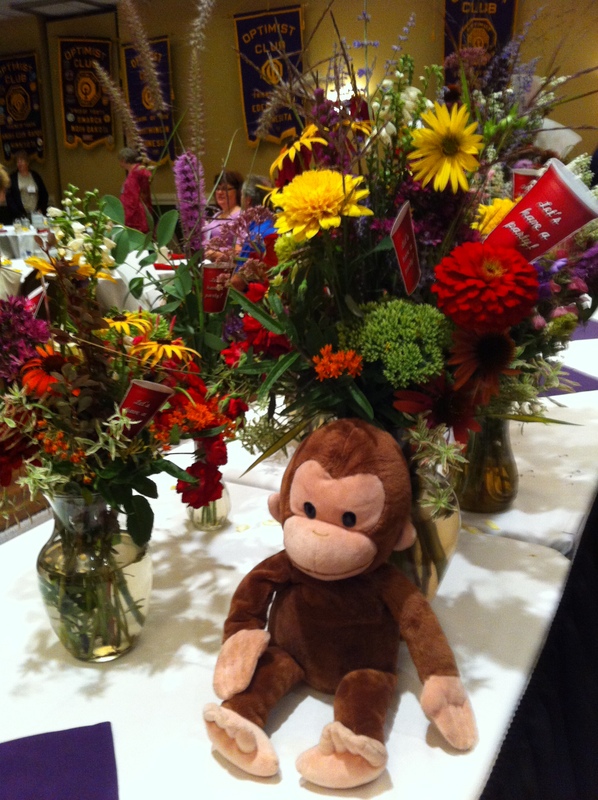 Cloud, MN has a beautiful public garden and though George didn’t get to come with me to the pig roast and garden tour, he did enjoy the flowers back at the hotel. 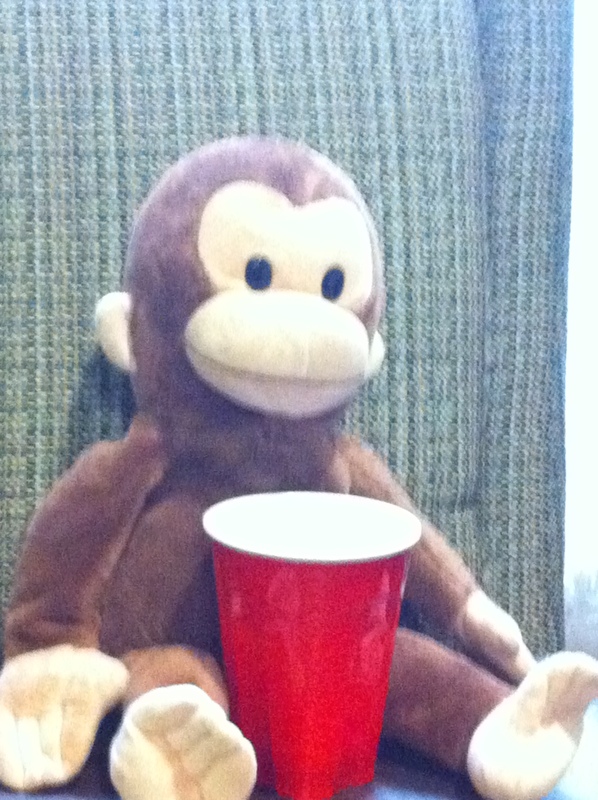 And of course, George enjoyed the theme of the convention: Red Solo Cup. He didn’t make it to the hospitality suites as he’s a bit of a lightweight. And I believe he’s probably underage. Instead, he worked a few rows on my Lightspeed. At the end of the weekend I returned George to Lily. I think he was a little worn out from his weekend and might have gotten a little cranky.